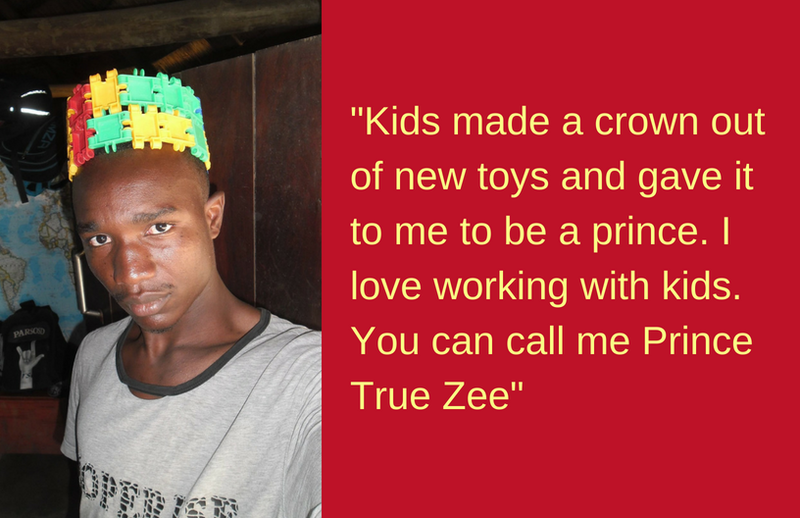 "Kids made a crown out of new toys and gave it to me to be a prince. I love working with kids. You can all me Prince True Zee." "Let's end gender violence now!"